Looking for that perfect first home? Finding such an impressive single level, family friendly properties in a very convenient location is uncommon but we have found just the right one for you. From every point of view, this exceptional property delivers quality and elegance. Built in 2009 & recently refreshed to a high standard, this property offers four bedrooms, two bathrooms, including the main bedroom’s ensuite, open plan living with family area, and a double garage. Freehold section with well-maintained gardens that include a small veggie patch. Not to mention a private back yard that will make entertaining friends and family a breeze. 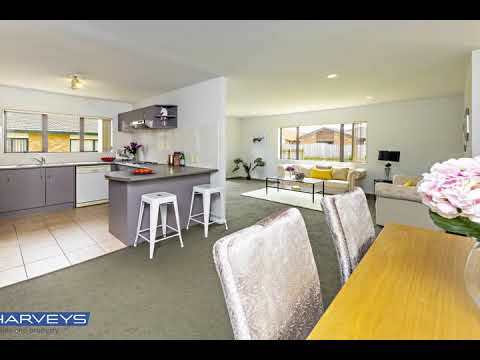 With just a few minutes from vibrant Papakura township and very easy access to trains/buses. Across the road from a popular park, makes this property ideal for an active family. This will also suit investors as the rental appraisal is $560-$600 per week. All the hard work has been done so you won’t go wrong with this low maintenance brick & tile beauty. With all the new developments & subdivisions in McLennan Park & Kauri Flats happening in the near vicinity the value of this house is bound to go up. So secure now for those capital gains. Make no mistake as this property MUST SELL. So don’t wait! Call Kevin today to setup a viewing appointment, tomorrow could be too late!